When it comes to secure data storage, there are a dizzying array of options available. However, not all data storage options will be right for your business. Of the options available, perhaps the most cutting edge is secure cloud storage, letting you access your data wherever, whenever. And no, cloud storage is not about raining data – backing up data to the cloud offers a crucial new lifeline for modern businesses when it comes to securely storing your business information. However, it also brings with it its own challenges. Part 1 will focus on a general introduction to the cloud. Part 2 will discuss transitioning your business information to the cloud. Part 3 will delve into life after the cloud – what comes next, in terms of information management, and how to keep on top of cloud storage best practice. When we talk about cloud storage, we are primarily referring to a set of remote servers which store information that you are able to access via the internet. Cloud storage is based on a cloud computing model – here a collection of computer systems works together, to store, access and process data. Cloud storage uses servers which are maintained and operated by a cloud storage service provider. The result is a flexible, scalable and accessible way to access and upload your important business data. Cloud storage typically minimises the risk of data loss and provides unimpeded data access. Cloud storage can typically be accessed on all your devices in any location, provided you have an internet connection. The end result is a service that you can use to empower your business’ approach to information management. There are a number of key advantages that cloud storage systems can offer businesses, but it is important to understand the risks too. Accessibility. Accessing your data and information from a number of different devices, including your Apple or Android phone, is a massive plus. Usability. Cloud storage can work in an identical way to local computer storage. Often cloud storage simply uses a drag-and-drop model for your data. Information recovery. When it comes to cloud storage, it is possible to build a complete back-up of all your business’s vital data and information. 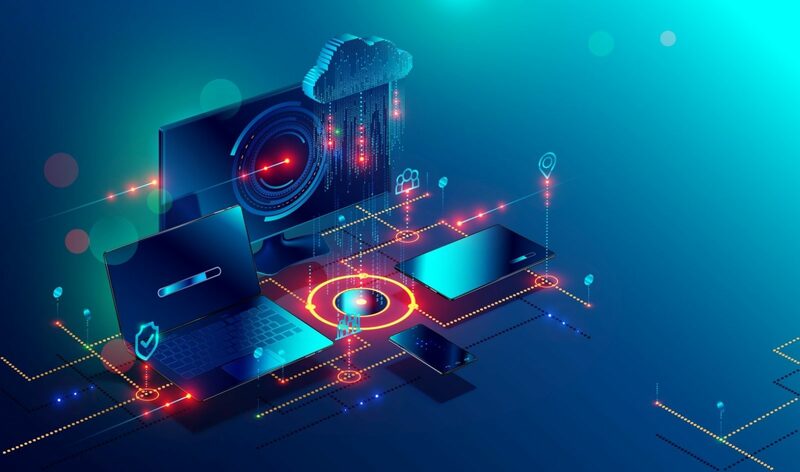 Whether this is customer data or crucial business documentation, cloud storage provides a strategy for secure data backup in the form of data loss prevention. Speed. It is quick and easy to upload documents and files to cloud storage. Cost. Cloud storage is typically cheaper than running your own local servers for data back-up. There is no maintenance, management or monitoring costs, and typically you have unlimited storage space. Data sovereignty. If your information has been converted and stored in binary digital form, storing it on a local cloud server ensures that the data is still subject to the laws and governance structures within the country. Data security. While cloud storage is typically very safe, with the highest level of encryption and server security possible, data breaches do happen from time to time. Additionally, you may feel uncomfortable sharing private or sensitive business data with third parties. That’s why it is important to do your research and find a cloud storage provider you trust and who offers secure local data storage. Software. Some cloud storage services are accessible via the web and some will need a dedicated piece of software. It all depends on the cloud service provider. Accessibility. Cloud storage access requires an internet connection. Some cloud storage providers will provide an offline syncing feature, so you can continue to access your files offline, however this will require an internet connection to sync the files initially. This may be particularly useful if you need to access your information while out of office in areas without stable 4G or internet connections. Does my business really need a cloud storage system? At TIMG, we think it comes down to business security. Cloud storage is an excellent tool available at our disposal to make business information storage as robust as possible. If you need reliable data back-ups for regulatory compliance reasons or are seeking a more accessible way to access your data than local disk storage, cloud storage may be right for you. Consider how you store information and data in your business right now. Are you still using paper systems and filing cabinets? Or do you use hard drives, flash drives, or on-site servers? Cloud storage can replace or align itself seamlessly with each of these approaches, while offering several key benefits. This includes flexibility and seamless data transfer from device-to-device at a much lower cost than traditional methods of data storage. When it comes to cloud storage and information management, TIMG are the New Zealand experts. Contact us today to discuss how our cloud storage solution, including BackOnline, our online data backup and full disaster recovery service, can empower your business’s approach to data.